Curious about bones? Here’s our weekly roundup. When we set out to create The Human Body, we wanted it to be the jumping off point for discovery, exploration, and most importantly—tons of questions. Luckily, from what we've heard from our community, the app has become just that and we're learning about the many ways The Human Body is used by kids (and adults) of all ages. In addition to the app, we created The Human Body Handbook to arm parents and teachers (and older siblings and grandparents) with extra resources to support kids in their learning. During our research phase, we discovered oodles of great resources—too many to print! So, we've decided to share them, moving system by system, as a round up on the blog every week. First up: the skeletal system. - Medulla oblonga…what? A deep dive into the human skeleton, Britannica has a thorough article full of interesting facts. This one is definitely for kids interested in the science of the skeleton, what it's made of, and plan on winning a human body trivia competition in the future. - Here's a crazy idea to consider: What if all animals had human skeletons? This video exposes how complicated our skeleton is, and also, just how freaky it would be if everything in the animal kingdom had our bone structures. - What, exactly, is the knee bone connected to? In Them Not So Dry Bones, Schoolhouse Rock! performs a fun song to help us remember how all of those bones stay connected (and provides super nostalgic learning moments for some of us at Tinybop HQ). - Growing pains? 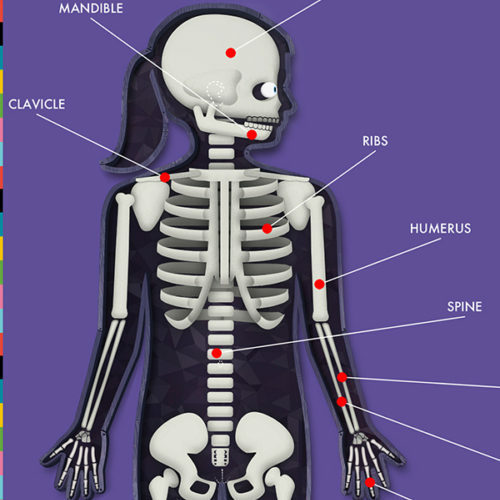 Bones, Muscles, and Joints by KidsHealth takes a distinctively kids-eye view on all of the changes a skeleton will go through as it grows. We'll be back very soon with more about the muscular system. Even before we started building our first app, we knew we wanted to create Tinybop Loves, our review blog about our favorite books, apps, music, websites and films for kids. A whole group of creators like William Steig, Hayao Miyazaki, and Hopscotch have paved the way for great kids’ media. While you may have heard of some of these titles, many are older, and forgotten or overlooked. We want to shout about them from the rooftop and make sure that parents, teachers, and kids have access to the material that’s inspired Tinybop. 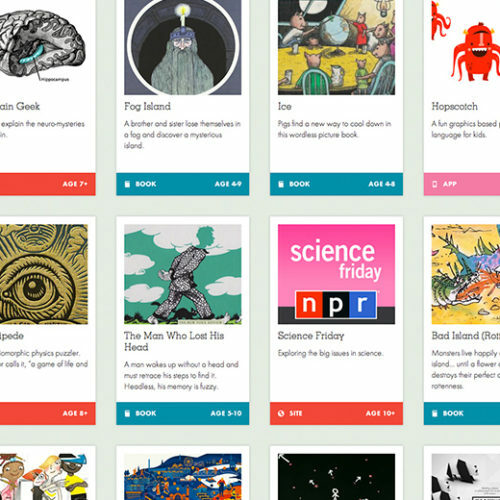 We hope you’ll check out Tinybop Loves and find something your kid asks to read, watch, hear or play, again and again.